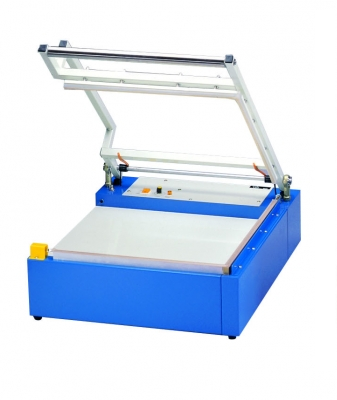 This manual L-Sealer is designed to seal products completely closed in centerfold film when used in conjunction with the YC600WA film dispenser and perfect for use as a prepacking sealer for large shrink wrapping applications. It’s depth adjustable feature allows one to package items up to 20cm in height. Ideal for medium to high volume applications (approx 1000-2000 packs per day) for packing Stationery, Books, CD’s, DVD’s, Mobile Phones, Toys , Pharmaceuticals and more.